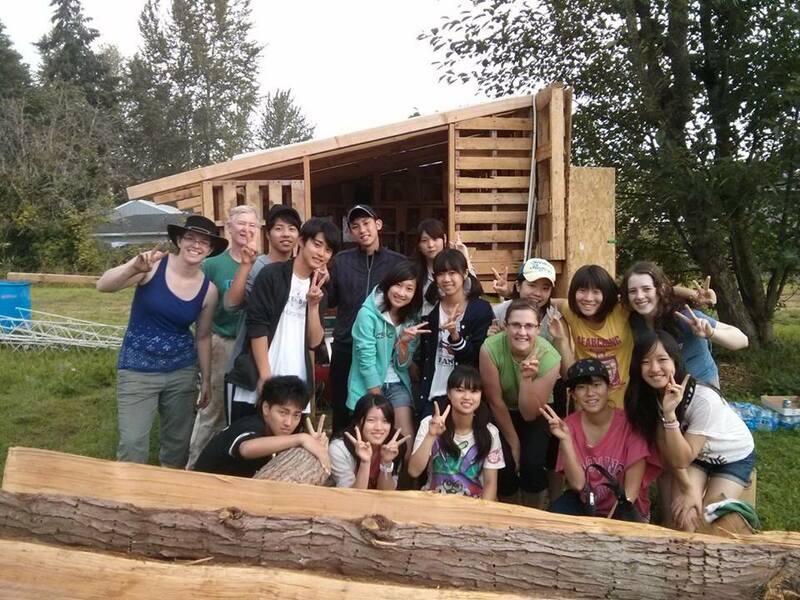 Japanese students help build a NEW school garden! Recently, Sustainable Renton board member Elizabeth Zwicker was approached by a friend about opportunities in the area for a group of Japanese exchange students. Well, immediately she thought of the Sustainable Renton Community Farm-and all of the different projects that need help there. So we said YES, we’d love to have them for a 2-hour work party at the farm. 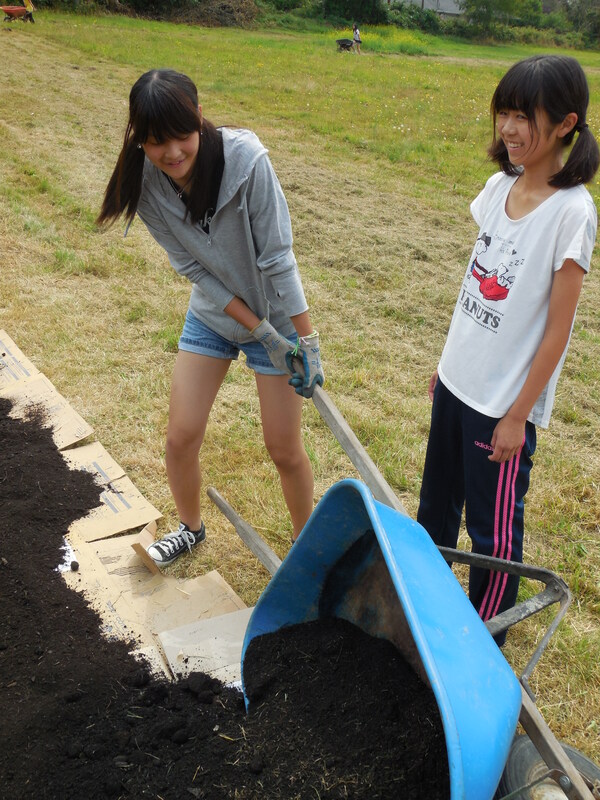 So, today, the students came to the farm to help us prepare garden beds for a school garden for the Apollo Elementary School (Issaquah School District), which is located immediately behind Celebration Church and the Community Farm. 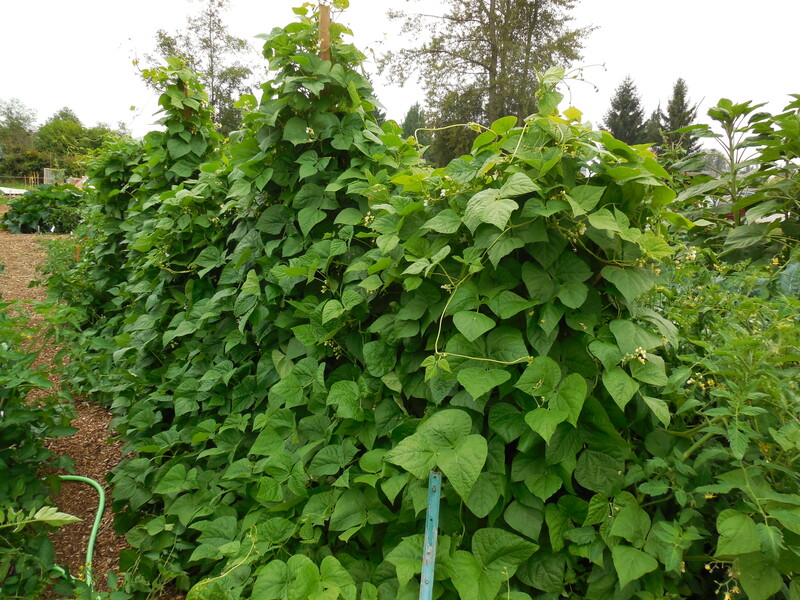 This Fall, we’ll be having a program to engage students at the school with gardening and growing fresh produce. Their volunteer time with us was part of the student’s orientation week before they head off to live with their host families for the year. They wanted to learn about volunteerism in American culture-they sure did work hard, and never complained. We really accomplished a LOT! 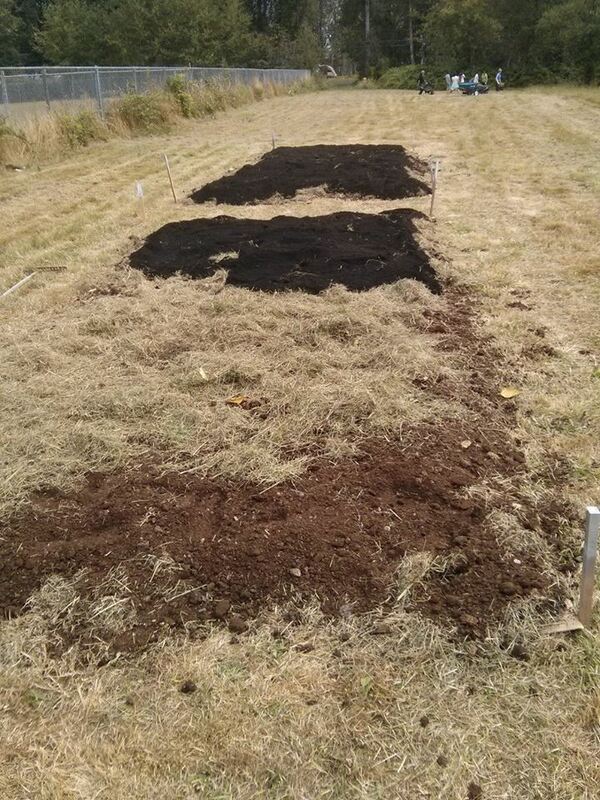 All that hard work will ensure that local elementary students will have access to an organic garden, where they can learn about biology, cooperation, patience, healthy eating habits, and so much more. To learn more about States 4H exchange, visit their website. We are so blessed to be able to collaborate and partner with so many different groups, people, and organizations in our community. 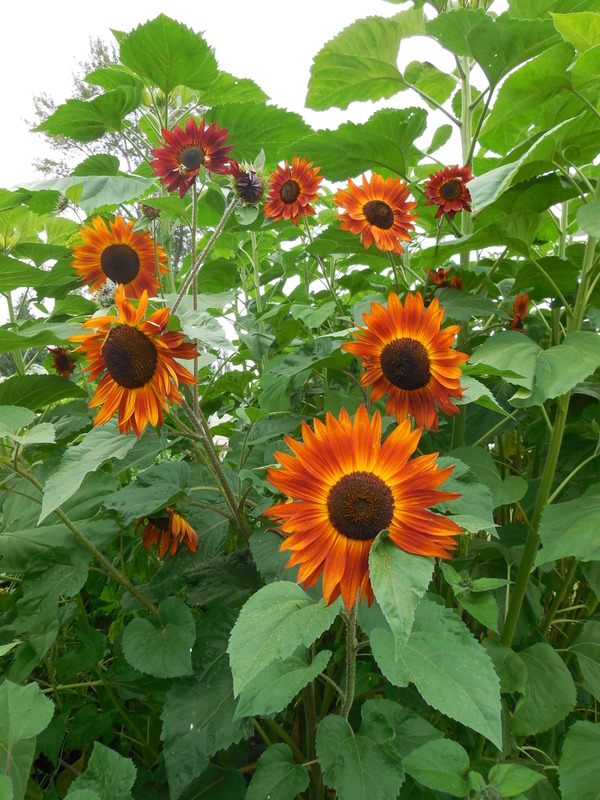 And here are some photos of what is growing at the garden right now.